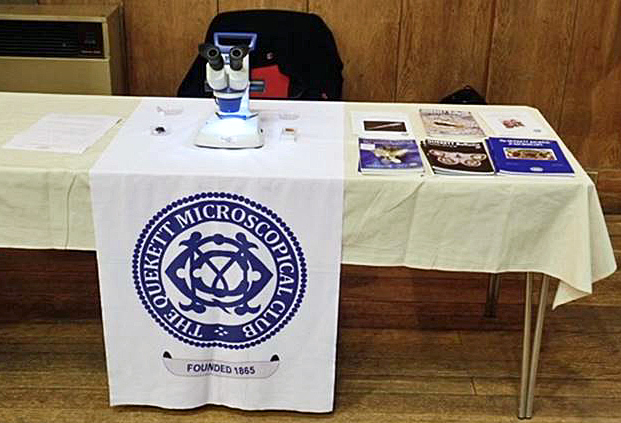 The QMC had a small presence at the Annual Exhibition of the British Entomological and Natural History Society, held at the Conway Hall, Red Lion Square, Westminster, London, as part of our microscopy outreach programme. The show was well attended and pretty well packed for the whole time. 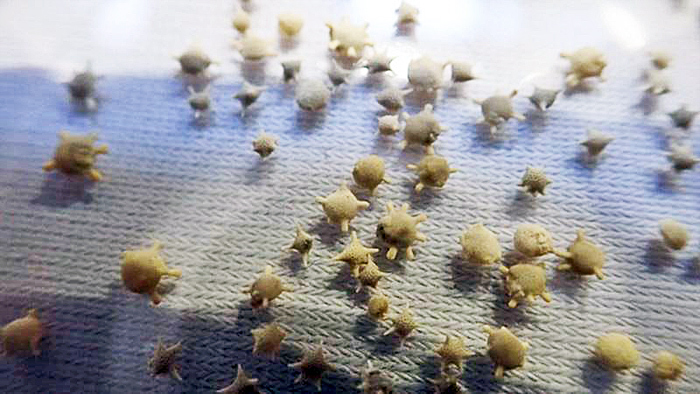 The QMC had a portable stereomicroscope which was available for visitors to view their own specimens when requested. 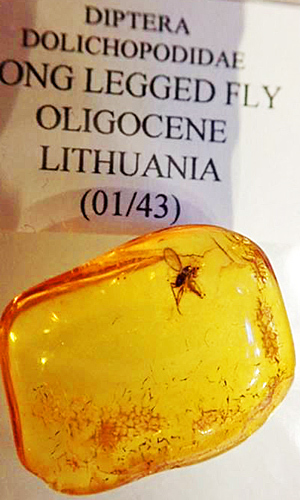 The clubs own specimens were a fly trapped in amber and some star sand as light relief. 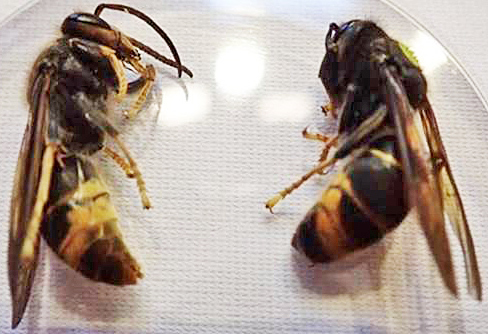 John Lock, who had a poster display on the next table about hornets, loaned a pair of Asian hornets for the duration of the show. 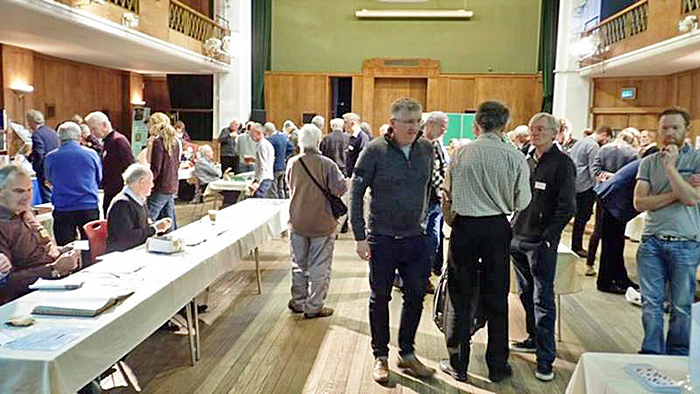 I was kept fairly busy with a steady stream of visitors to the table, but that did not stop me from buying a book from Pemberley Books though!